One of the rarest sets ever made, so rare that it has never been seen complete or in color before, the Marx Strategic Air Command graces our cover and feature story pages for Christmas. 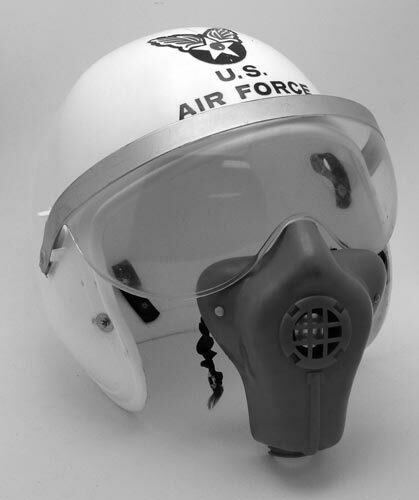 And it is a special story indeed for the publishers, who grew up on a real Strategic Air Command base in the 1960s. It seemed odd to be playing with a set (my friends, from across the street) while the planes and missiles were all around us in real life. Here readers will relive the days of the wild skies, filled with ICBM missile and jet B-52 Bombers. When the Delta F-102 fighters were made to intercept the Soviet Bear bombers before they reached our soil and overfly the dangerously close missile installations on Cuba during a crisis that very nearly ended it all. Marx made the S.A.C. 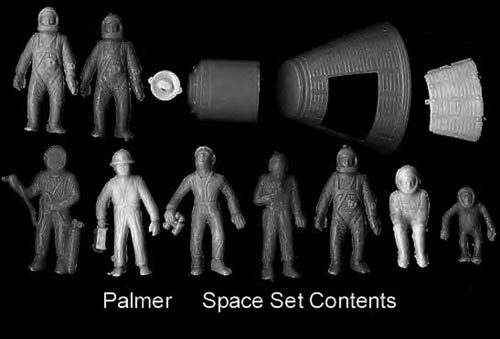 Base sets knowing how much was on the line, selecting them for color, excitement and that “teaching moment” the firm was so famous for. We’ll examine it in great detail with a loving interest in the variations. For yes, there were variations, up to four of them, and for the first time you’ll witness them all together on the same pages. 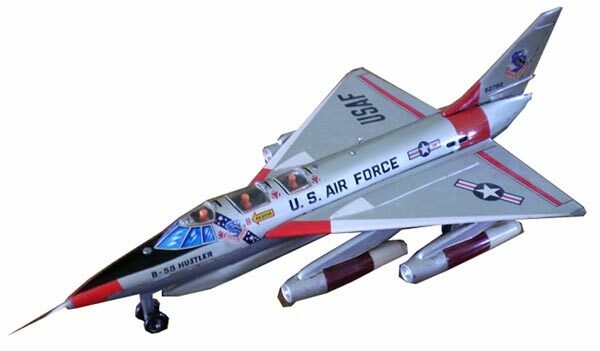 We also made room in this expanded edition tfor other U.S. Air Force toys of the 1960’s, from many other makers. It’s a real Air Show for collectors! Then you'll be enthralled with all the new release playsets and accessories offered to visitors of the latest Old Toy Soldier toy show, greatest in the world, with hundreds of collectors converging at the now famous Hyatt Regency hotel near Chicago. We have the photos and the scoops on several pages dedicated to the free-wheeling fun and excitement. 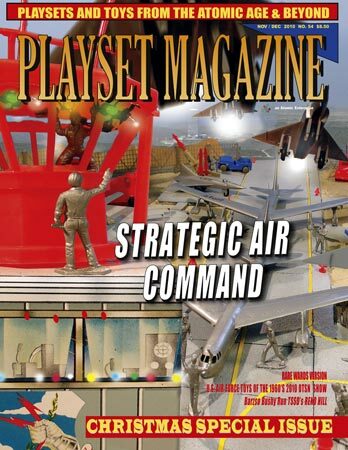 There’s reviews, news, ads and special features and nostalgic fun galore for collectors and casual readers alike this issue so join us for a Christmas bash in the stratosphere – the Strategic Air Command is one for the books and records!